my wife picked up this lego set at a garage sale. The owner claimed it was a ship, perhaps a pirate ship, and that the set was complete. It does have something resembling a bow, and several tall poles, but no sails, which sounds suspiciously non-ship like. The most distinct piece is something like a black bicycle chain / rope ladder on a gear, attached to what looks like a 4-piston engine. There's another smaller chain as well. The entire set is in a beige / brown / black color scheme. Images below - can someone help me identify this? It's a ship alright.. a heavier than air airship: Wright Flyer. Quite a fun, if rickety. build. 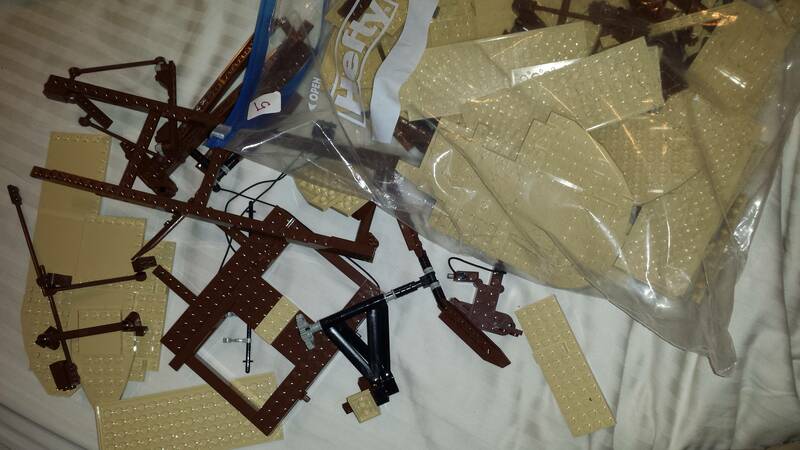 Help identifying LEGO set (possibly construction)? What LEGO set is this? 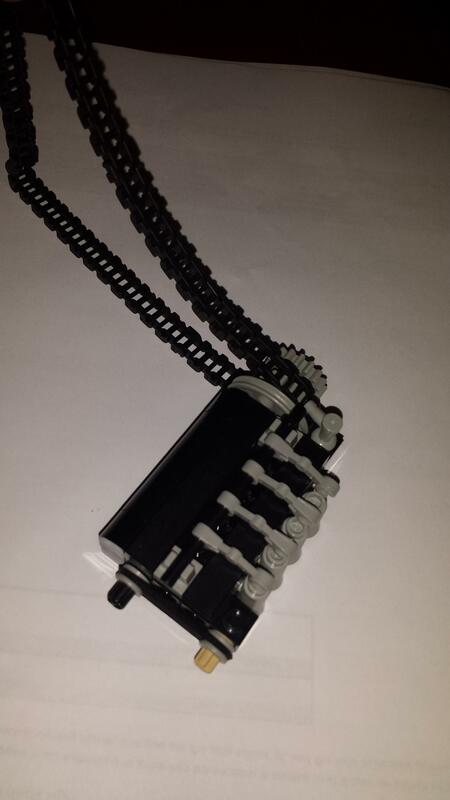 What LEGO set is this from?